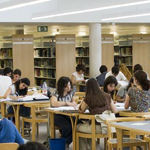 The Biology CRAI Library provides comprehensive materials for teaching and research activities at the Faculty for the courses: Biology, Environmental Sciences, Biotechnology, Biomedical Sciences and Biochemistry. It was created in 1982 with the stock of the former Seminary of Biology. 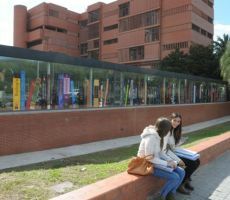 The Library also houses the Ramon Margalef López archive. Margalef was the first professor of ecology in Spain, and the archive includes his scientific works and personal documents. Of particular note for teaching are his herbarium and a collection of animal and plant histology slides. Study rooms: 5. Reserve a room.